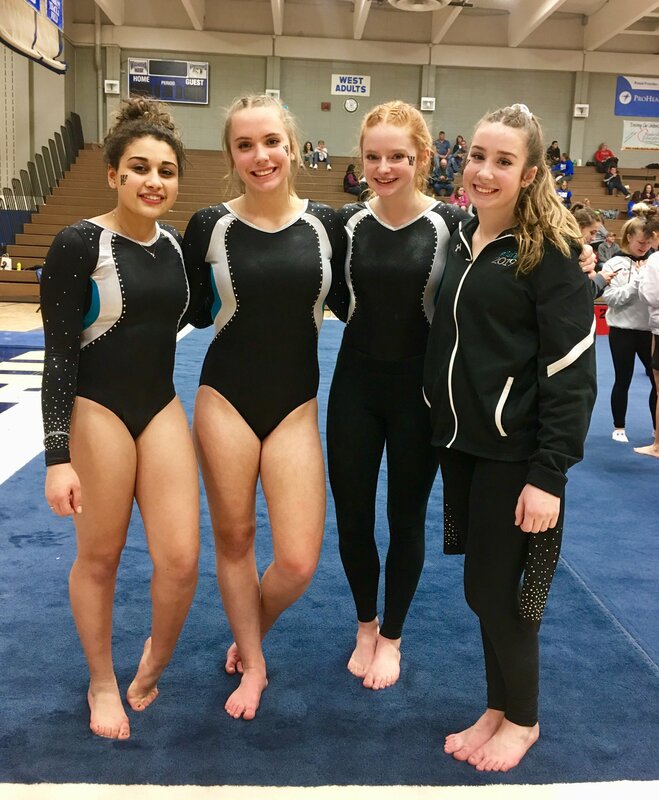 With a season best score, the Waukesha Co-op gymnastics team took 4th place in WIAA Sectionals at Waukesha West on Thursday. The team has an abundance of talented gymnasts, four of whom are from South (Maya Ibrahim, Sarah Pascavis, Kamryn Truesdale and Hunter Kiehl). The team also was the recipient of the Classic 8 Sportsmanship Award. At Thursday’s sectional meet, they entered gymnasts in all events: balance beam, floor, uneven bars, and vaulting, and finished with a score of 139.075, a season high. Georgia Williams, a junior from Waukesha West, tied for 3rd place and will move onto the state competition this Saturday, March 3rd. Williams tied with Holli Anderson from Franklin on the beam with a score of 9.350 out of 10. Brooke Lytle, another junior from Waukesha West, was the only Waukesha gymnast to compete for the All-Around title, which consists of a total score of all 4 events (balance beam, floor, uneven bars, and vaulting). Lytle took 8th place out of 21 competitors, with an overall score of 34.850. Associate Editor & Reporter - Senior at Waukesha South. Taking life one step at a time. In an intense game, South Women’s Basketball defeated Germantown Saturday night to become Regional Champions. The Blackshirt sits down with the Iguana Squad for an exclusive interview. But things take a turn when an old foe of the rap trio turns up.